Hello, i'm trying to setup a https server for a 2000's video game but it seems XAMPP is rejecting the console's ciphers and the server sends handshake failed (40) after client has sent SSL v2 hello. 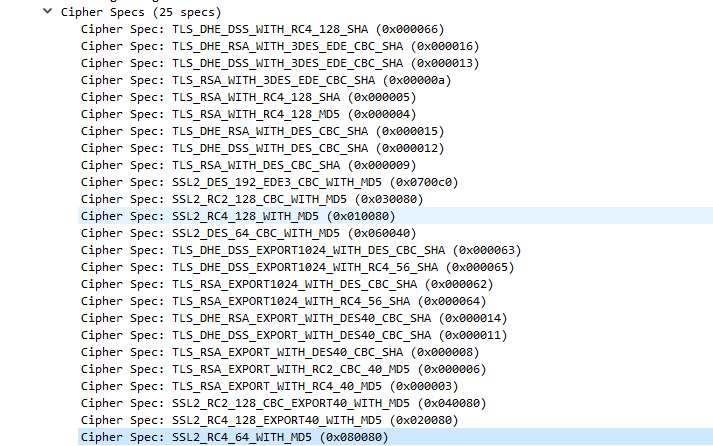 here are the ciphers that the client use. PS: I also tried SSLCipherSuite ALL and SSLProtocol ALL but no luck!